The Recorder noted that on Wednesday, December 7th a “large portion of our colored citizens assembled in National Hall,” located on Market Street, to celebrate emancipation in Maryland. Reverend J.C. Gibbs’ speech was met with loud applause. 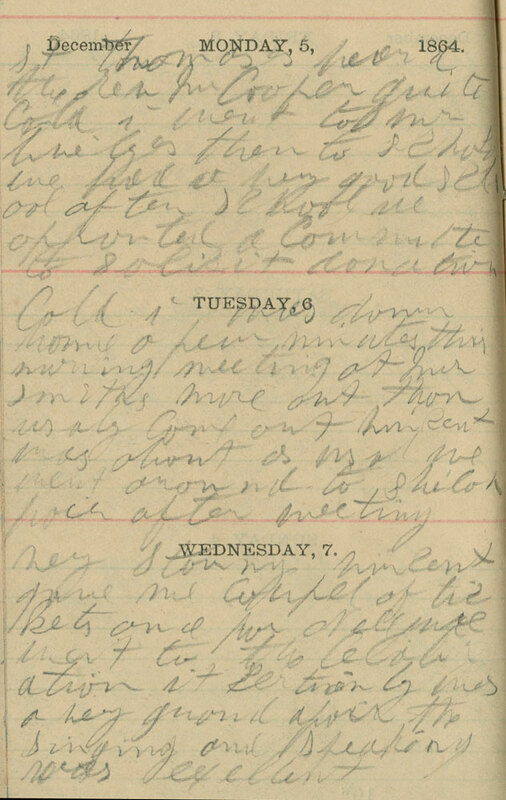 Emilie elaborates on this event in her memoranda pages and notes the event on November 1, 1864. “Celebration of the Emancipation in Maryland,” The Christian Recorder, December 17, 1864.